TROY — On Thursday, Troy Police Department detectives officially closed the Unity National Bank robbery on May 17. According to official reports, Joshua Beall, 30, of Fairborn, was indicted on third-degree felony complicity to robbery charges in August in connection with the Troy bank robbery. Beall did not appear for arraignment due to being incarcerated in Montgomery County on multiple robbery charges as well as a murder charge of the alleged Unity Bank robber Donald Armstrong III. Armstrong was allegedly killed by Beall in an apartment on Maryland Avenue in Dayton on May 30. Beall was indicted on charges of murder, attempted murder, felonious assault, grand theft of an automobile, complicity to commit robbery, failure to comply, robbery and several weapons charges, according to court records. Beall admitted to driving Armstrong to Unity National Bank to rob the bank on May 17 prior to the shooting death of Armstrong on May 30. Beall told officials he and Armstrong split the money from the robbery in Troy. Beall, along with Casey Cole, 19, was apprehended in Sharonville on May 31 following a pursuit and crash. 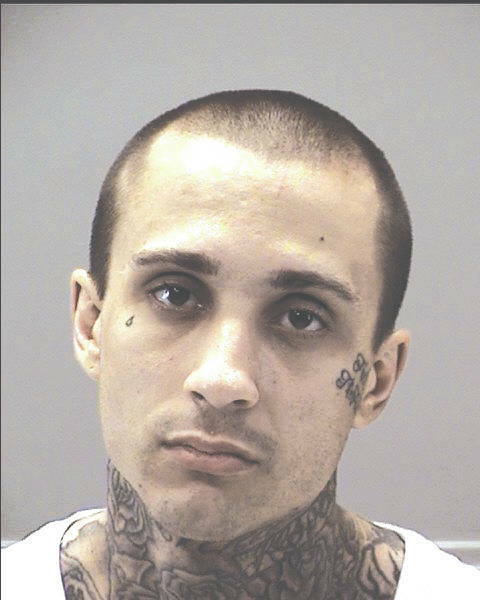 Beall is also allegedly involved in two robberies on May 26 and May 29 of a U.S. Bank in Beavercreek, robbery of a Domino’s pizza delivery driver in Huber Heights on May 27, and the LCNB National Bank robbery in Oakwood. Cole is also charged in several bank robberies in the Dayton area with Beall. Beall remains incarcerated on $1 million bond. A final pre-trial has been set for Oct. 31, and a trial date was set for Nov. 12, according to Montgomery County records.